An Idaho stop law allows bicyclists to treat stop signs as yield signs and red lights as stop signs. The city of San Francisco is currently trying to pass this law/ordinance. The only known study of the effects of allowing bicyclists to yield at stop signs shows the law increases safety. Everyone should be in favor of an Idaho stop law in Wisconsin because if you drive a motor vehicle, you are less likely to injure another human being with this law in place. 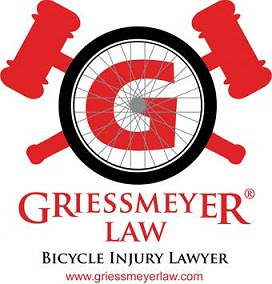 If you ride a bicycle, you are less likely to get injured with this law in place. 1. Traffic safety and other policy goals are best served by relaxing stopping rules for bicyclists, legalizing existing behavior. 2. Cyclists have been lumped with motorists under the law, yet warrants have never been made for bicyclists to determine whether their stopping is necessary or even beneficial. 3. Stop signs are ubiquitous though oft unwarranted. 4. Stopping increases risk of collisions. 5. Intersections are the most dangerous zone for cyclists, whose safety benefits from the freedom to choose the safest time to clear and to do so more quickly. 6. Bicyclists enjoy vastly superior abilities to perceive and execute a safe yield at a stop than other modes, and great incentive to do so safely. 7. Idaho fared best of all comparison cities for overall bicycle safety. Bicycle injuries in Idaho declined 14.5% the year after adoption of the law. 8. Interviews and a survey indicated the law has been beneficial or had no negative effect. 9. Women cyclists in London are three times more likely to get killed by a truck because the women are less likely to disobey red lights.